Are you ready to rescue Gingerbread George in the SWEETEST way possible? Get your sweet tooth ready, bring a taste for new challenge, and prepare for the exciting arsenal of sweet dessert: lollipop, candies, chocolate, gummy jelly, cookies… you name it! 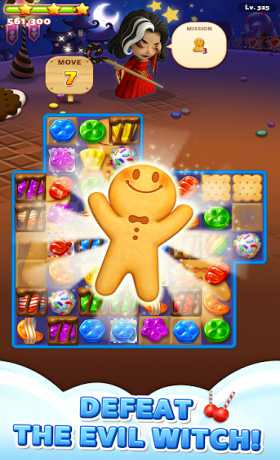 Come rescue gingerbread cookies in Sweet Road, the deliciously exciting and tasty puzzle match game! 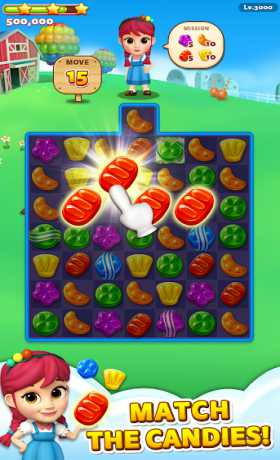 – Swap and match sweet candies to solve the puzzle game! – Enjoy new tasty levels in the game each week! – Rescue gingerbread cookies in various exciting tasty game modes! 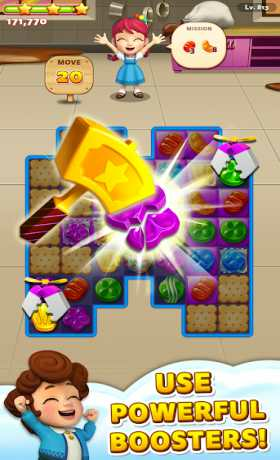 – Create powerful Special Candies by matching 4 or more sweet candies! Use different items to help your tasty adventure in Sweet Road! – No need to worry about wifi or data, so you can focus on the cookie rescue anywhere, anytime! – High quality graphics so you can enjoy high quality lollipop and cookies while playing the tasty puzzle game! ● George the Gingerbread Cookie who needs RESCUE! ● Oh, and did we mention DESSERT?